Ashley Menne, Toni St John, Madeleine Laux and Jenny Bae take on international field at Reflection Bay Golf Club in Henderson, Nevada. 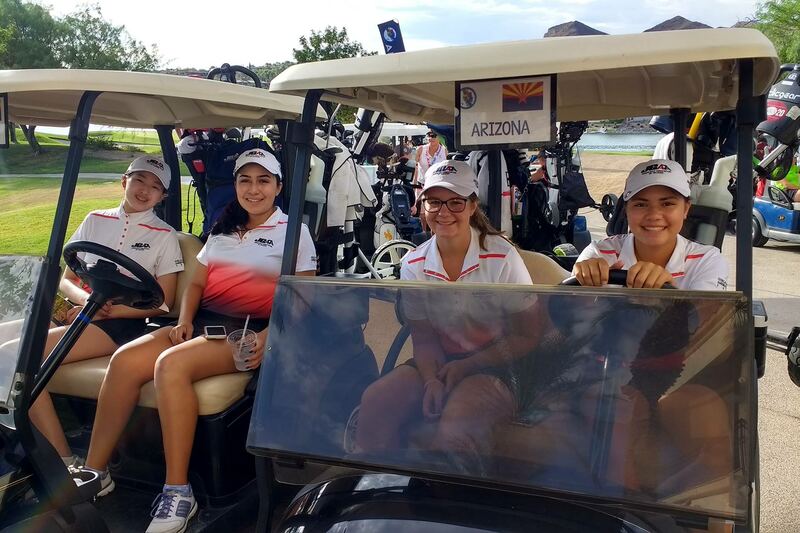 The 2017 Girls Junior America’s Cup kicks off August 1-3 with team Arizona set to compete against an elite international field of teams representing Alberta, British Columbia, Colorado, Hawaii, Idaho, Mexico, Montana, New Mexico, Northern California, Southern California, Norther Nevada, Southern Nevada, Oregon, San Diego, Utah, Washington and Wyoming. 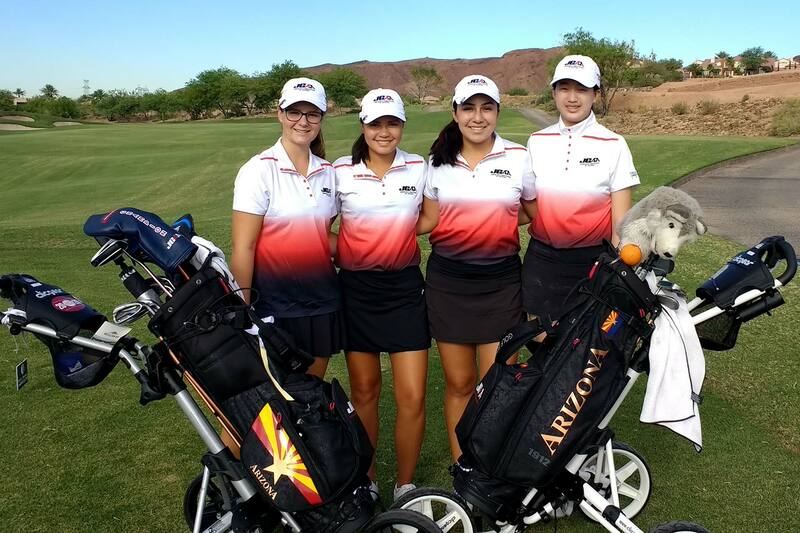 Team Arizona is made up of Ashley Menne of Surprise, Toni St John of Gilbert, Madeleine Laux of Goodyear and Jenny Bae of Chandler. The four players were selected by virtue of their status on the JGAA’s Player of the Year points ranking. They will compete in a 54-hole format where their three lowest scores will determine the team score. All players also compete for the individual medalist honors as well as a new award created in 2014 – the Joan Teats Inspirational Award – that honors the best team exhibiting the qualities of leadership, sportsmanship, honesty, friendship and respect. Ashley Menne, 15, makes her second consecutive appearance at the Girls Junior Americas Cup as the current Player of the Year points leader. So far this season, she has dominated the JGAA’s Girls Championship Division notching 11 wins in 17 events entered without finishing higher than third place. She also recently made it to the round of 32 at the U.S. Girls’ Junior. Toni St John, 14, holds the second spot with two wins under her belt including the Mesa City Jr Slim Chickens/IMG Jr World Qualifier in June and the Willie Low Invitational (a Junior Masters Series tournament) in June. St John also made the top 10 in 13 of 15 events entered in 2017. Madeleine Laux, 15, is winless so far this season, however she has placed in the top 10 in all but two of the 12 events she entered. Jenny Bae, 15, posted two victories this season: Spring Stableford in April and Phoenix Metro Jr. Championship in February. She has finished in the top 5 in eight of the nine events she has entered this year with a ninth-place finish as the exception.